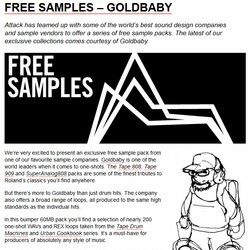 Attack Magazine has announced the release of a free sample pack by Goldbaby. We’re very excited to present an exclusive free sample pack from one of our favourite sample companies. Goldbaby is one of the world leaders when it comes to one-shots. 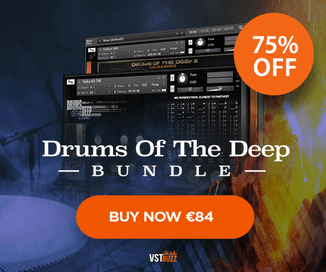 The Tape 808, Tape 909 and SuperAnalog808 packs are some of the finest tributes to Roland’s classics you’ll find anywhere. But there’s more to Goldbaby than just drum hits. 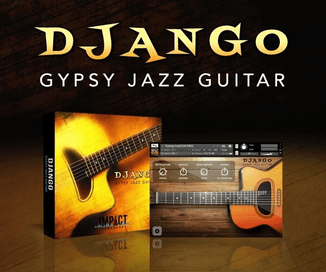 The company also offers a broad range of loops, all produced to the same high standards as the individual hits. 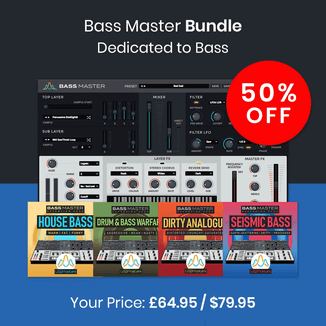 In this bumper 60MB pack you’ll find a selection of nearly 200 one-shot WAVs and REX loops taken from the Tape Drum Machines and Urban Cookbook series. 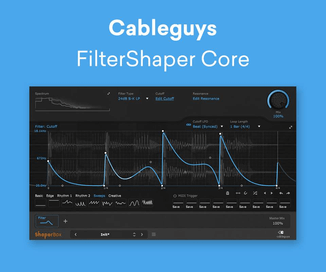 It’s a must-have for producers of absolutely any style of music. The pack is a free download to registered Attack members (registration is free).